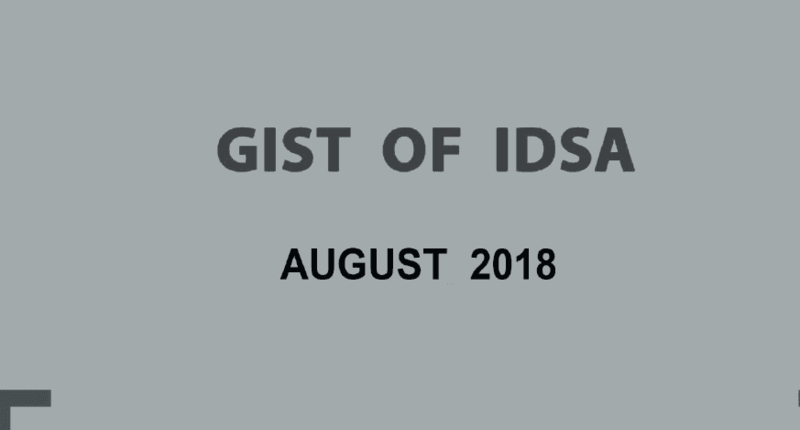 Hello Dear Aspirants, Download GIST of IDSA of August 2018 by iasparliament. This pdf is very important for Civil Service Exams. This book cover Selective articles from the Institute for Defence Studies and Analyses (IDSA), providing an enhanced understanding on internal security and international relations like Option on National Register of Citizens (NRC), Pakistan Election and India, India Pakistan trade ties, Economic status of iran, Mild term review of 13th defence five year plan, changing impact of military, Revitalising African Relations and India’s Opportunity over China’s Vulnerability.